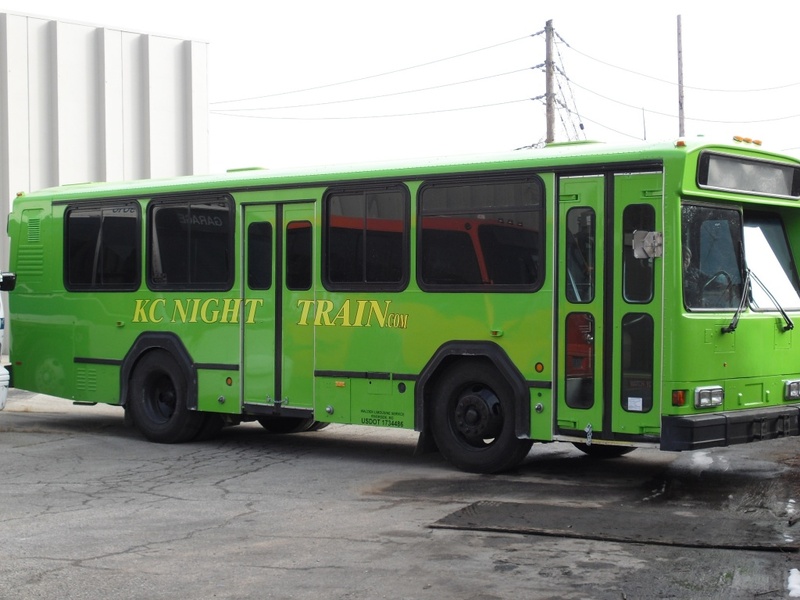 Go out in style in our green party bus. 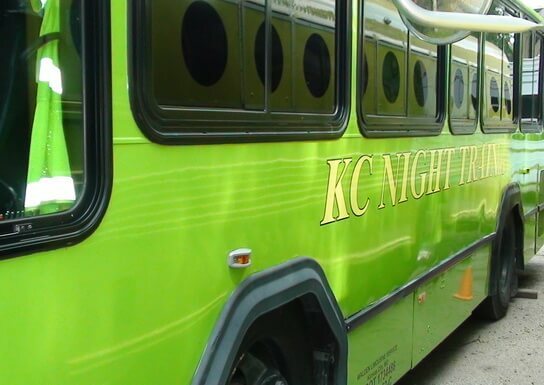 You will be chauffeured all around KC, wherever you want to go. From popular restaurants and bars in the Power and Light District to Kaufman Stadium to see the Royals. 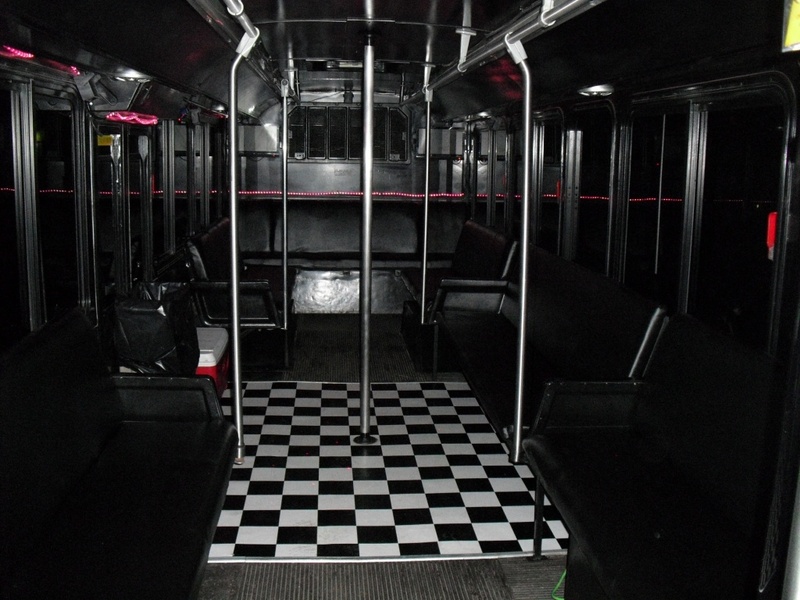 You will have tons of amenities right on board your party bus so the party never stops. The best part is that you can enjoy drinks all night long, as we will be waiting at the end of the night to take you home safely. 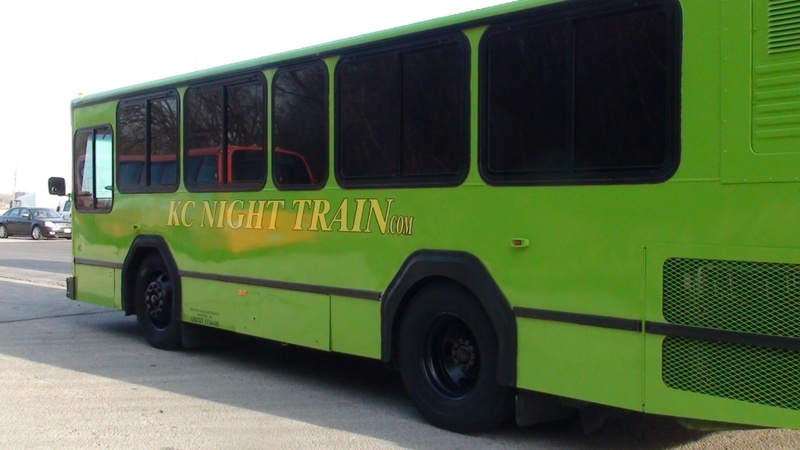 This is the Green Party Bus as seen from the driver’s side. 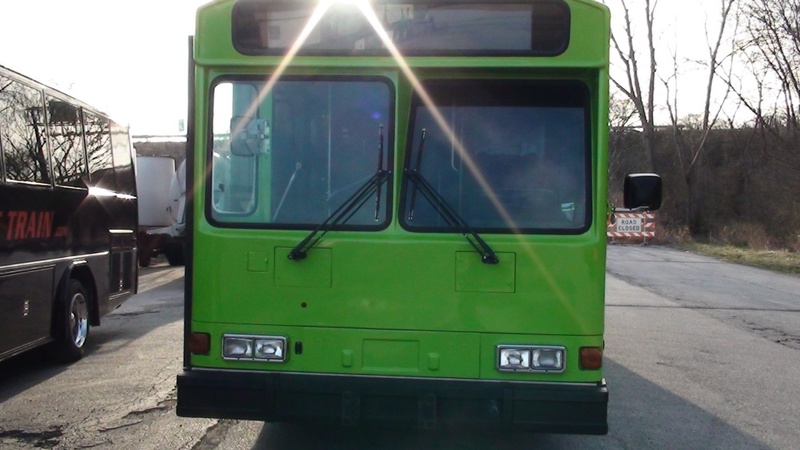 This is the Green Party Bus as seen from the rear driver’s side. This is the Green Party Bus from the inside looking towards the back with the party lights off. 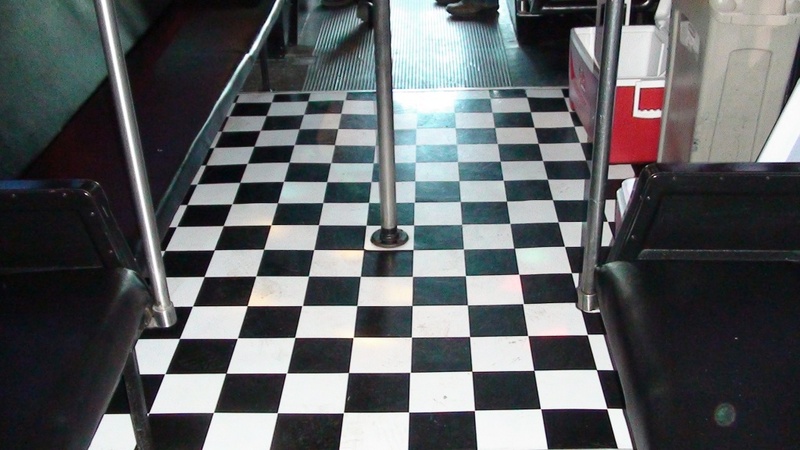 This is inside the Green Party Bus looking at the dance pole towards the front. This is the Green Party Bus as seen head on.